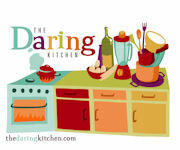 Poor Dr. O was missing red meat – I hadn’t cooked any since Beef Tacos in early June! – so he put in a request. I wanted to stay on the healthy side of things, though, since I knew we would have an indulgent Fourth of July weekend. Even though I had rated it poorly, the Beef and Broccoli Stir-Fry recipe kept jumping out at me, so I decided to give it another try. It was well worth it! I decided to serve the dish with brown rice (which takes 45 minutes to cook), so I got that going on the stove before I started the stir-fry. Next, I thinly sliced 1 1/4 pounds of flank steak so I could marinate it. Last time I made this dish, I followed the recipe and cut the steak into 1/2-inch-by-3-inch strips. In my opinion, that’s too thick; the meat was just too chewy to enjoy. This time, I cut the meat as thinly as I could (1/4-inch-thick strips or thinner). It made all the difference in the world! Super-thin strips would be almost impossible to cut from steak straight out of the refrigerator, though. Freeze the flank steak for 20 – 30 minutes (wrapped well in plastic) so it firms up before you attempt to slice it. Once I had sliced the meat, I prepared a marinade in a large, shallow bowl. I combined 3 tablespoons of soy sauce, 3 tablespoons of apple juice, 1 tablespoon of cider vinegar, 1 tablespoon of sugar, 3 minced garlic cloves, and 1/4 teaspoon of pepper. I added the meat to the bowl, tossed it to coat, and then marinated it for 15 minutes at room temperature. Meanwhile, I separated the florets from a head of broccoli into bite-size pieces and set them aside. When the meat had finished marinating, I transferred it to a plate and reserved the marinade. In a 12-inch nonstick skillet, I heated 1 tablespoon of canola oil over high heat. In two batches, I cooked the meat until it was lightly browned, turning once (about 2 minutes per batch). I placed the cooked meat on a clean plate and set it aside. Next, I added 1/2 cup of water to the skillet and stirred up the browned bits with a wooden spoon. I poured the water and browned bits into the reserved marinade, whisked in 1 tablespoon of cornstarch, and set it aside as well. In the same skillet (still over high heat), I fried the broccoli in 1 teaspoon of canola oil until it was bright green and crisp, tossing often (2 minutes). I added 1 cup of water and cooked until the broccoli was tender (about 6 minutes). I stirred the marinade to make sure the cornstarch was incorporated, added it to the skillet, brought it to a boil, and then stirred until it was thickened (30 seconds). Finally, I added the cooked steak to the pan, tossed everything to coat, and seasoned with salt and pepper. I served the stir-fry with the brown rice. This stir-fry is absolutely incredible. (So incredible that I can’t believe I ranked it so poorly the first time!) It’s just as flavorful and delicious as anything I’ve had in a restaurant with one difference – it isn’t *drowning* in sauce. I consider that to be a plus. 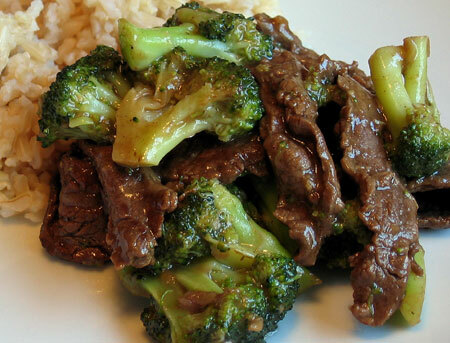 I just love the way the broccoli soaks up all the flavors, and the thin, thin steak strips are a must. Mmm, mmm, mmm! TIPS: Flank steak tends to be a pretty lean cut of meat, but I’m going to cut away all visible fat before I slice and cook my meat next time. It’s just a matter of personal preference. I’m going to try this recipe ! I’ve been for it for a while now. Hope it turns out just as good as yours ! Thanks for stopping by, Elle! You’ll have to let me know how it goes.